A photo essay on the life of Harald Bode and his instrument designs featuring original image scans from the Harald Bode Archive. 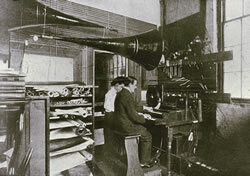 The short biography came about thanks to the Estey Organ Museum (Brattleboro VT) exhibition, Harald Bode, A Lifetime for Sound. Cinematographers Ralf and Lenore Bode shot interview footage over the Fourth of July holiday in 1972. The four video clips featured here offer a rare glimpse into Harald Bode’s home workshop and recording studio. Berlin-based radio producer and author Caspar Abocab has been extensively researching Harald Bode’s work and legacy. His original research at German archives and texts in German brings new rich insight and perspective. 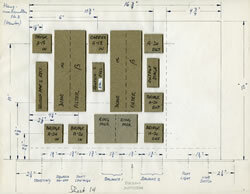 A selection from the Harald Bode Audio Tape Archive of Bode’s original compositions and sound experiments made using the instruments he himself designed. (In German, with an English Preface) Out of many pages of text and many hours of recorded video and audio, the author collaged a portrait of the life and work of Harald Bode. This is an edited version of the original transcript, which was conceived as a radio documentary and featured audio clips, interview excerpts and commentary by (among others) Meyer-Eppler. 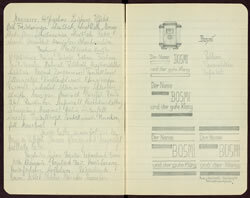 The Harald Bode Archive collection contains notebooks kept by Harald Bode from 1931 until 1986. These samples include drawings, schematics, development and business notes, as well as issues and experiments in electronic music instrument design. 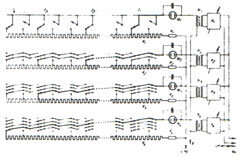 Harald Bode, in correspondence with Vladimir Ussachevsky, designed and built special specification Bode Frequency Shifters for the Columbia-Princeton Electronic Music Center. These schematics represent a sample of the designs. Harald Bode describes the capabilities of his 1960 Sound Synthesizer. This article was originally published in Electronics magazine, 1 December 1961. 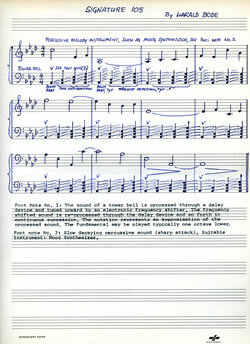 From Tom Rhea’s Electronic Perspectives column featured in Contemporary Keyboard. In this article, Tom addresses Harald Bode’s innovative 1937 Warbo Formant four-voice keyboard assignment instrument. 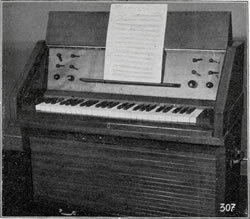 The second of Tom Rhea’s articles on Harald Bode’s instrument designs, featuring Bode’s 1938 touch-sensitive Melodium and split-keyboard Melochord. Also discussed are special features of the Cologne Studio’s 1953 commission of a Bode Melochord. 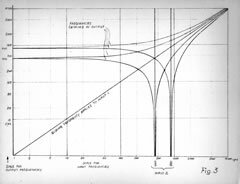 In this the final of Tom Rhea’s Contemporary Keyboard articles on Harald Bode, Rhea discusses Bode’s third generation of instrument design, including Bode’s singular Frequency Shifters and Vocoder. Based on presentations by Harald Bode at Media Study / Buffalo in 1979, the Experimental Television Center and Binghamton University in 1980, and in 1981 at the Midwest Acoustics Conference and the Audio Engineering Society (AES), this rigorously sourced text outlines the major principles and advancements in the history of electronic sound. Harald Bode’s renown for his incessant invention of new electronic instruments — from the Warbo Organ and Melodium to the Clavioline through to the Vocoder and the Frequency Shifter later found in Moog instruments — is presented here, complemented by many audio excerpts. This 1980 Jim Finch interview with Harald Bode for SYNE magazine, published by the International Electronic Music Association (IEMA), covers Harald Bode’s by then 45 years in the field of electronic musical instrument design and his recommendations for aspiring musicians and technologists. Composer and performer Nick Didkovsky relates his experiences working with the Sirius String Quartet on Ereia, discusses applying Markov processes to composition and gives updates on his project porting HMSL to JMSL and on Doctor Nerve activities. Robert Duckworth (in the USA), with collaborators Roddy Schrock and Tadashi Usami (in Tokyo) discuss computer music in Japan and give a live performance in 2001 via internet using pre-existing and new materials for a piece structured in real time.